Lifecare received the Martin Luther King, Jr. Award for Community Service at the event. Our Mission Statement is: To Provide Quality Healthcare Primarily to the Medically Underserved. We offer a diverse team of health care professionals who live locally and are part of the community. Lifecare is centrally located in areas that are medically underserved. 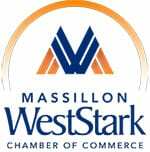 We have three offices to serve our patients, two in Canton and one in Massillon. Call 330-454-2000 to schedule an appointment at any of our convenient locations.